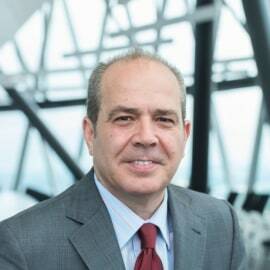 Fausto Parente is the Executive Director of the European Insurance and Occupational Pensions Authority (EIOPA). In his role, he presides over the day-to-day management of EIOPA. Mr. Parente was elected by the Board of Supervisors of EIOPA on 28 January 2016. His nomination followed an open selection procedure and a public hearing at the European Parliament's Committee on Economic and Monetary Affairs. On 9 March 2016 the European Parliament confirmed his appointment. Mr Parente has a distinguished career in supervisory regulations and policies at national and international level. Prior to his current role he was Head of the Supervisory Regulation and Policy Directorate at the Italian Insurance Supervisor, IVASS – Istituto di Vigilanza sulle Assicurazioni. He was the Alternate Member in EIOPA Board of Supervisors and member of the Advisory Technical Committee of the European Systemic Risk Board (ESRB). In the context of the Italian Chairmanship in the EU Council (second half of 2014), Mr Parente chaired the Council's working group on Insurance Mediation Directive negotiations. In 2011-2016 he chaired the Insurance Group Supervision Committee of EIOPA and in 2015-2016 - the Joint ESAs Committee on Financial Conglomerates. For several years he was an alternate member in the Technical and Financial Stability Committees of the International Association of Insurance Supervisors (IAIS). Mr Parente has a degree in Economics from the University Federico II, Naples, and he is graduated to practice as a certified accountant and financial analyst. He has attended many post-graduate courses in the fields of management, European Community law, economy and finance of insurance undertakings. He is author of a series of publications on insurance supervision.